Hi - recently I have noticed that our female Aussie, 20 months old, has been showing some signs of aggression. We recently moved from a busy neighborhood in NYC to the suburbs where it is a bit quieter. We had her in Brooklyn starting at 10 weeks, where she was well-socialized with a group of neighborhood pups for regular play sessions and lots of exposure to a variety of people. Now, it is quiet when we take her for walks and I've noticed she barks and lunges when she sees someone on the sidewalk. We carry treats with us so when we notice it ahead of her, we play LAT games and give lots of treats. This has been working. Last week we had family in town and two other dogs - 9 YO male lab and 7 YO female. Our dog attacked the female immediately when we introduced them. We had to keep them separated/on-lead for the most part. When the other dog got close to me (I'm the mom), our girl went right after her and wouldn't back down. I know around this time she is going through another development phase, but I don't want this to become a long term problem. She hasn't had trouble with other dogs in the past and goes to day camp once a week and loves it. Any tips? She's a wonderful, friendly girl and I just haven't seen this type of behavior in her before. Comments for Over-Protective Female Australian Shepherd? 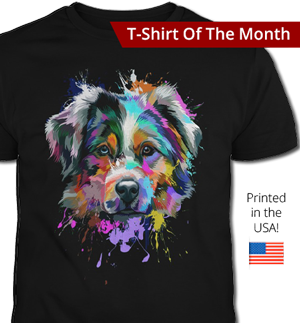 This is EXACTLY how my Australian Shepherd female is... She just turned one last March. As a puppy she was never like this and I used to take her to dog parks which she loved and never had problems with other dogs but now I can not do this. I do not know what to do about this but I really would like to find a solution. Hello. Aussies are a protective breed over family members for sure. Is your female fixed?? This could be some of the problem if she isn't. Are you nervous?? Aussies are so in tune with your energy that if u are nervous it will make her nervous. There isn't no way to keep this from ur dog. Only way is not to be nervous. Another thing I have found is that if tails is dock then some dogs will take this as being submissive. This will cause trouble. It depends a lot on the way other dogs approach. Take notice. Body movement has a lot to do with dogs. Watch carefully. Hope this helps. By the way she is a pretty girl. Sometimes a move can cause it also. Different place, people and so on. I would correct her for unwanted behavior. Not treats. A tug on her leash, a simple no (mean what u say). To me a treat is for good behavior. Why won't she act up if she going to get treated. You have one of the smartest breeds there is. Could it be pinned up energy?? Some of my aussies do that when not exercised enough. She will show signs of over protective as long as you tell her it okay ... I have a five month old and shes the same way there reserved dogs ... It takes time .. I think you should just keep walking as if nothing is wrong if you see another person in the street. 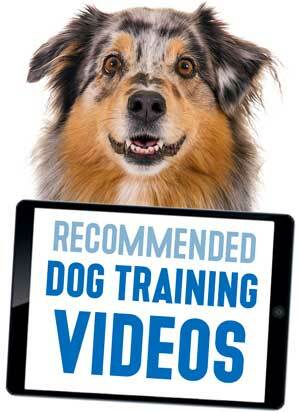 Immediately correct any lunging or barking. If you are giving treats, the I bet you are projecting nervousness. You need to be in control and project confidence. Sounds like she is assuming role of alpha. 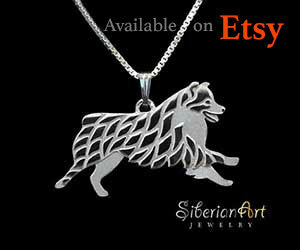 You need to be leader of your pack. Also, if you have a dog park nearby. Take her. Interesting. Our female, once a loving outgoing Aussie has done the same thing. They just don't like change. Our neighbors got a new female puppy and she hates her. She is very possessive of me and growls when the puppy comes near and barks her head off even when she sees her her own yard. She has no problem with male dogs or people. She needs a job other then protecting you. Sometimes wearing a back pack gives her a feeling that she has something else to do. Also allowing the dogs to meet on their own terms without us has helped. She no longer feels she needs to protect us. She is now just a dog. But Aussies like to be in charge OF EVERYTHING. They also want to be the center of attention. When walking her you might try having her sit, stay until the others walk past you. This gives her something else to focus on other then the other dog and you are making her the center of attention instead of the other dog/ person. 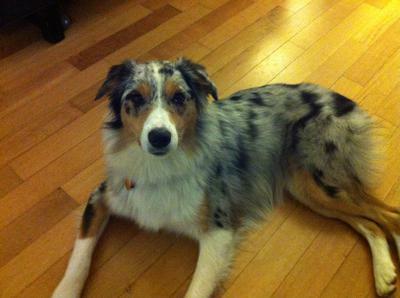 we have a 2.5 year old Aussie female who have had since she was 8 weeks old. She is incredibly loving and submissive. Recently we brought home our infant son and she would aggressively bark when he would sneeze. Other than those moments she would constantly check on him and keep an eye on him. We tried everything thing to correct the behavior. The only thing that worked was a product called the pet corrector. It was a $10 can of compressed air. It has worked wonders. We have a 16 mo Mini-Aussie Male. We now have a similar problem. He has been around lots of people & dogs, including kennel care for vacations. At about 10-12 mos we began to notice that he was becoming more aggressive with people coming to our house. Also began to want to chase cars on his walk. What we thought was Aussie nipping turned into snapping at visitors. All of this is new to us, since we had an Aussie who died at 13 and never showed this behavior. Further research is stating that Aussies are territorial, protective of their families and apparently this is a normal trait. :-( We also want to control the behavior and be more relaxed when we have visitors. Right now, we don't trust him and put him in another room. 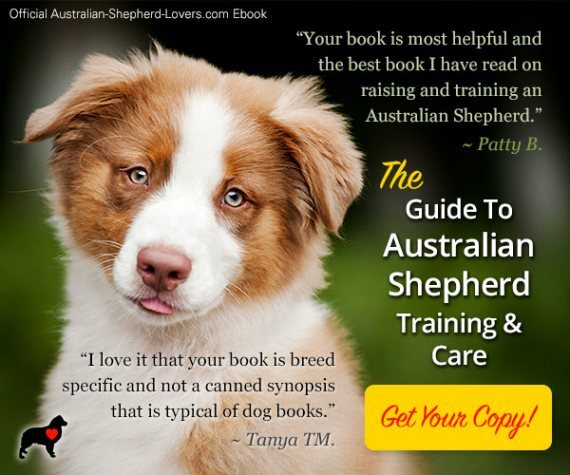 We began to have a professional trainer come to our home, but he ended up stopping because our Aussie needed unexpected knee surgery for a genetic knee problem Aussies are prone to. This loveable little guy is a challenge for us. If she comes from working stock bloodlines it is very common. We had a wonderful girl who came from working stock and she was just very protective and no amount of training could break her of it. They are actually bred to be a little aggressive so that they can herd cattle. The females, especially once they have a litter, are VERY protective. We just had to put her in another room when strangers visited and had to be careful to restrain her properly when outside. My aussie does similar things with regards to aggression at our house. My recommend you get a behaviorist in ASAP. Giving her treats may not fix the problem because to her she may see it as a reward for her actions after she first acts out. We were told by our trainer to redirect her. Constantly getting her attention. I hope this helps any questions I am willing to answer. 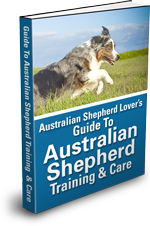 Fyi over protective behavior can be part of an aussies behavior because they are used to protecting their herd. It's their instinct. If you can nip it in tbe bud now she will be a great companion. Also remember a tired aussie is a good aussie. Same story with my female. We used to go to the dog park and doggy daycare, and she did great. Now, she gets too aggressive at both. She's only four. We don't know why she changed. My husband says she's an "alpha." Hello again! I made a couple comments at the beginning. I believe that a dog park isn't the answer. Reason being is that most people that go to them do so to exercise their animals. To release pinned up energy. Out of control. The right and only way to enter a park is after exercise. My dogs sit and wait be4 going in. In a calm manner or they don't go in. From my experience it's not the place to meet dogs that are under control. Great place to educate people. Any time I train a dog it is after exercise. They learn quicker. 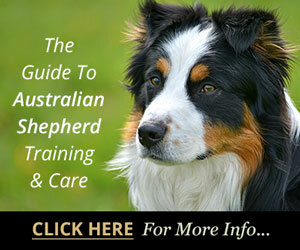 Your aussie is perfectly normal, relax, small correction,leash or sound they are very easy dogs to train. Aussie want to please. I have 6 of my own now. They are the BEST! Enjoy. If you bring another female to the home your Aussie thinks she is being replaced. Being around others she thinks everyone is a threat. The herding instincts come out so aggressive behavior comes out. She is waiting for instructions you have to tell her its ok but don't give a treat because now you have confused into thinking ok if I bark and charge I'll get a treat. Use firm words with her it takes a little time but she'll come around. Under no circumstance should you punish by putting her in a crate or travel kennel those are for her security blanket. Yes definitely. Our Aussie/Heeler mix thinks she has to protect the females in the house. It's gotten hard to even have people over. She has been well socialized and does better when not on her home turf but still thinks it is her job to keep us safe. She keeps a bubble around us when out. She even does good at the dog park until a dog gets to close to us. She gets between us and gets them away but if they are not near us she has a blast playing with them. It started when she was about 10 months old. I had a similar thing happen with my dog. Natallia (Tallie) we call her Tallie because my father and I wanted to keep her tail instead of getting it docked, the breeder called her Tallie so the name kinda stuck. She use to be a bit hard to walk with on the leash whenever we would go near other dogs she would bark constantly and pull. Eventually she kinda out grew it. But one thing that helps reinforce her when I walked with her it to tell her to " Ignore" I used that word whenever a dog barked. Kept saying it repeatedly and directed her attention to back to walking. This has helped a lot. She still is protective of me at home when seeing dogs outside the house. But as far as walking she I'd practically out grown the aggressive phase. Hope this is some what helpful to you. Consistency is the key. Thinking about your comment regarding strangers approaching on a quiet street reminds me of our Aussie. She can walk just fine on a busy sidewalk, but is suspicious and fearful when encountering a single individual approaching in a quiet neighborhood. (It's worse when there are shadows.) This seems to be one of the characteristics that Aussies were originally bred for - to protect the flock or herd against suspicious, intruding predators in addition to herding their charges. I found a couple of small books written by Patricia McConnell to be helpful. I believe the names are "Fearsome Fido" and "Cautious Canine". 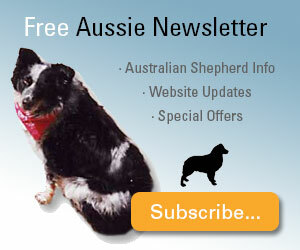 If indeed your Aussie is fearful, then, in my opinion, you should not be afraid to treat if your dog is anxious. Treat to draw her attention away from the "danger"; and then to reward calmer behavior. You may have her sit in order to have a job to do and reward her. But, don't make her face the danger. You become the leader if you lead her away from it (like to the other side of the street or up a driveway). Although it seems counter-intuitive, this process actually makes the danger seem less each time, she trusts you to protect her, and eventually you will not have to move away. I have found there a number of books that deal with over-arousal. Hope you don't have to deal with this too long. I should have added to my previous comment that the key is to treat the dog when you first see her hesitation and BEFORE she becomes truly afraid or aggressive. though I KNOW I NEED to be. Jazzy Will be 3 years old in 3 months. She does have a shock collar, but I'm not sure if that's the answer. Would love for someone to give me some good ideas-please, as I love her soooo much and do NOT want to have to give her away. Like anyone with their own family, If you love them then you protect them. People are as perceptive to stress in others as dogs are. That's why some people have the ability to bring the mood way down when they walk into a room bit this isn't about people. If she is being over protective then reassure her that everything is okay and she doesn't need to be so protective. Think of it as your big brother against your new boyfriend. Big brother is naturally protective so he goes into defense mode right away. So does the dog. Big brother gets to see that you're okay and happy, then he backs off and has no reason to be defensive at all. The point is the dog is being protective because she loves you and wants to make sure you're safe and comfortable. Show her that you are and she should calm down with the attempted assaults. Lol. I'm kinda glad to see that mine is not the only one is that way. He was friendly with other dogs where we live until recently. Now he gets very upset when they walk by the house. Wants to rip their heads off. When he goes to the groomer, he is friendly to dogs there. I guess they are not in HIS space. I have a female Aussie will be 3 in dec. she has been aggressive as well lately she did start it at 10 was old. I have read an research so much. I do not give her treats for rewards during training. I give her good love affection. I also speak her with one word for commands an she responds well. She likes to be directed. You have to also show your dominance that you are the leader. I have never had to hit or yell at this dog ever. Firm voice that I’m the one In control. I can walk this dog with no leash attached with two words Phoebe Foose... (phoebe heel) an she walks aside of me. She is always waiting for her next command her next task. There are times when she does her tricks she will receive a treat for reward. Example when she jumps threw the Holo loop. But to fetch a ball or fetch anything it’s a pat on the head good dog... but I am working on breaking her with the small aggression she has. Repeat dominance. I have a 7mo old and she is VERY protective of me. Great watch dog but she concerns me out in public. Once she gets to know other dogs she is okay but the initial meeting can be hairy. But I did find something that instantly stops the behavior. She is a fetch dog. Give her a tennis ball and she is everyone's friend. I had her in obedience class and she was sooo nervous and agitated at all the people and dogs, especially when the trainer called a free for all and has us drop the leashes. She was a mess. Until I grabbed a tennis ball. She was like a different dog. Dropping it at people's feet, showing it to the other dogs etc. Hey, whatever works!